I love surfing the net for recipe and meal ideas, there are so many wonderful home chefs around the world whipping up dishes and meals that feed a whole village (I am not kidding! ), I really admire them! So anyway, while searching for recipes for the meat, I always look out for ways where the home chefs uses the greens in the recipe. 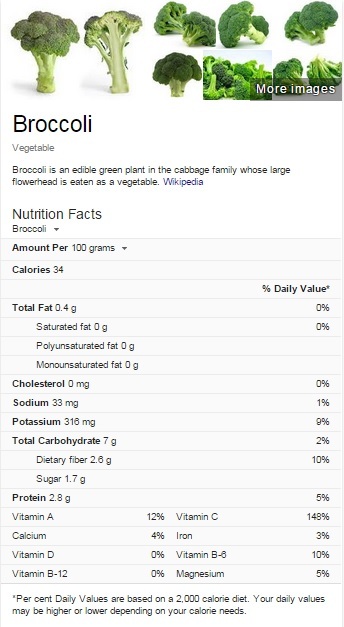 One of my favourite greens is broccoli, can't believe that I used to hate then when I was younger (kids really does not fanc super green veggie I guess), and what not to like about broccoli? Besides that, they help to lower cholesterol level, improves digestion, is a natural detoxification, fights cancer, improves bone health etc. I was eager to try out this Beef & Broccoli recipe that I found at Rainydaygal.com coz she's cooking it with soy sauce and brown sugar, something different from my usual chicken stock powder or oyster sauce for stir-frying. 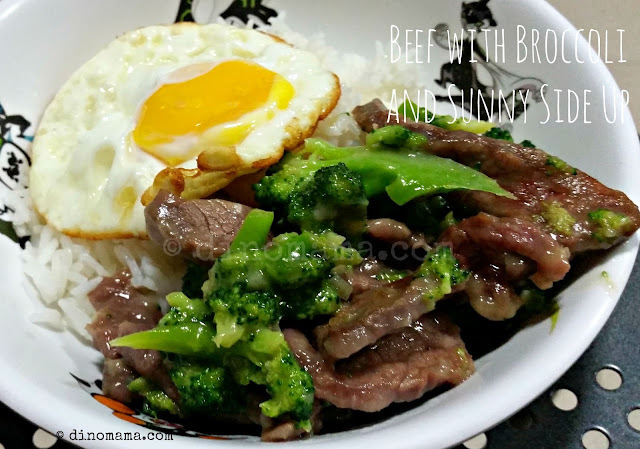 If you want to try this dish, remember to use low sodium soy sauce otherwise it will be very salty. Her original recipe is for 1.5lbs or 680g of beef, I am only cooking about 250g so I sort of half the sauce used. I put this recipe in my Copy Me That Meal Planner and a day prior I marinated the beef, I like to marinate my meat at least over night so that the meat absorbs all the flavour from the sauces. I took it out from the fridge the minute I reached home from work and start to prepare the broccoli. Instead of stir-frying we prefer to blanch our broccoli because it not only soften it but also maintain most of the nutrients. 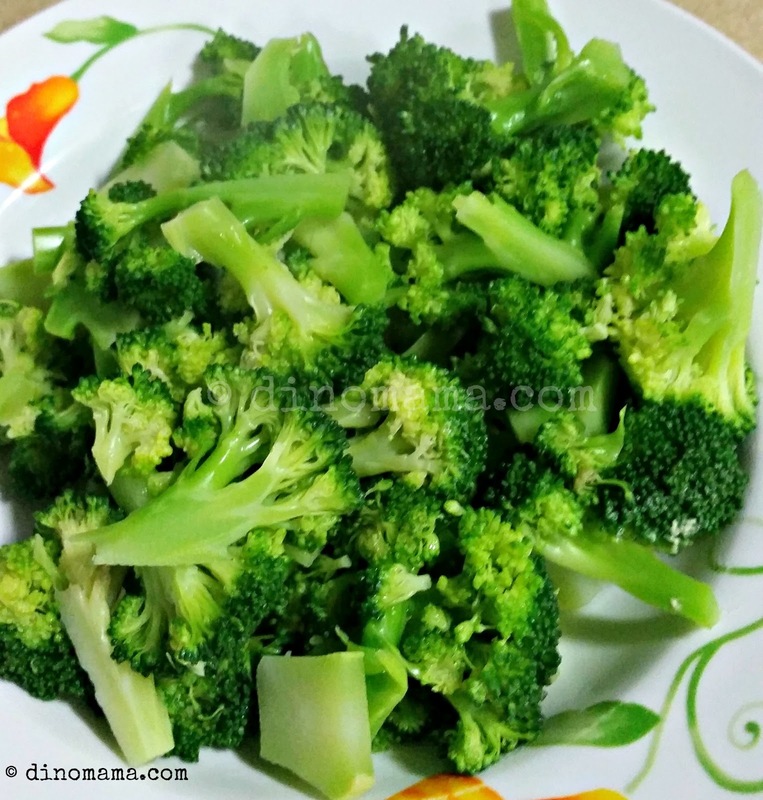 Its very easy to do it, bring a pot of water to boil, add in a heap teaspoon of salt follow by the broccoli florets and stems, let it boil for 4-5mins, remove and set aside. This is the first time I am buying steak flank and woah~ they don't come cheap even at NTUC supermarket, this slab of around 200g cost me a whopping $6.90, though its money well spent because the meat is so soft and tender. 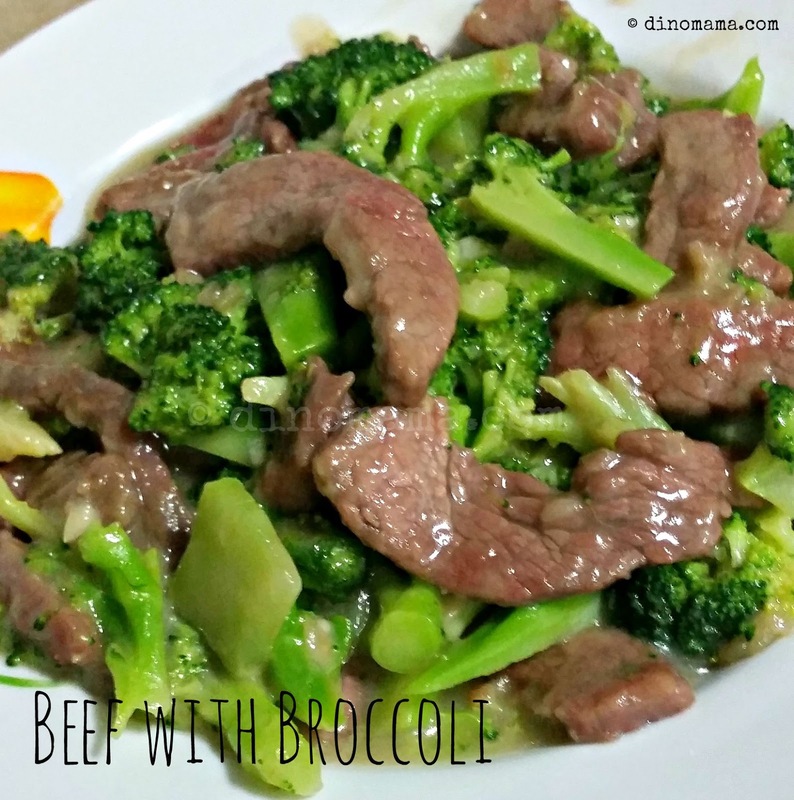 I sauteed the beef for 3-4 mins, add in the broccoli and every thing else, cook for another 2-3 mins. Don't they look beautiful? Since we are going to eat with steaming rice, a sunny side up will make this a complete healthy balanced meal. 30mins later dinner is served, this is truly a recipe to keep for weekday dinner, it is not only balanced meal, its healthy and full of flavour. We do not have low sodium soy sauce so I kinda diluted it with water so even though it uses so much soy sauce the saltiness is just right. 1. Whisk together the marinating sauce in a large bowl. Toss the steak with the marinade to coat. Cover and refrigerate at least 1 hour, or even overnight. 2. In a small bowl, stir together the soy sauce, brown sugar, garlic, flour and sherry /shaoxing wine until smooth. Set aside. 3. In a large wok or saute pan, heat 1 tablespoons of the vegetable oil over high heat until shimmering. Add broccoli and saute 3 minutes, stirring often. Transfer broccoli to a plate. 4. Reduce heat to medium-high. Carefully add the remaining tablespoon of oil to the hot pan. Add the marinated meat and half of the sauce mixture and saute for 3-4 minutes, stirring often, until the meat is cooked through and no longer pink. 5. Stir in the broccoli and remaining sauce. Saute 1 minute more.